Drawing on a participant-centred, photo-elicitation study of the built environment in three neighbourhoods, I discuss how people see their neighbourhoods, both in the visual and aesthetic sense, and also how they view (metaphorically) their local surroundings. Participants took part in photo-elicitation interviews and, previously, in standard (verbal-only) semi-structured interviews. Results suggest that people care about their neighbourhoods and value local amenities, attractive houses, public art, and trees, greenery and open spaces. 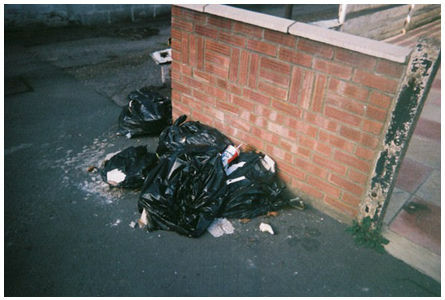 They are concerned about such mundane issues as litter and poorly kept properties, which they find unattractive. 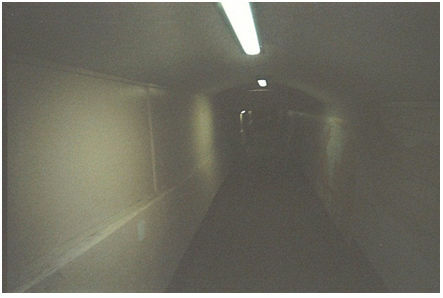 Pictures of narrow alleyways and deserted areas were prevalent in connection with fear and vulnerability. I suggest that as participants construct their views of the built environment, they situate their actual neighbourhoods against idealised 'imagined' neighbourhoods, and both the actual surroundings and the idealised construction play into their views of their own place. In addition, it is clear that when participants are asked to take photographs of their neighbourhoods, they think visually. Consequently, participants enact their responses differently in visual research than they do in verbal-only research. Keywords: Photo-Elicitation, Visual Methods, Photography, Built Environment, Neighbourhood, Place, Vulnerability, Signal Disorder, Imagined Community. 1.1 The term 'built environment' may bring to mind buildings (Gieryn 2002), or even architectural statements in the form of spectacular constructions designed by internationally famous 'starchitects' (Jones 2011). But the built environment also encompasses the more mundane aspects of what people are surrounded by in their daily lives: houses, streets, parks, gardens and shops. Built environments are important. As Savage, Bagnall and Longhurst (2005: 112) discovered in their study of Manchester suburbs, 'The buildings of Manchester stand in for Manchester, so that (a participant's) reflection that Manchester never gets anything right is triggered off by its architecture. The same kind of response is evident among those who like the city'. They continue, 'Visual perceptions [of particular buildings and of dirt, litter, and rubbish] are organised into powerful motifs � Manchester exists in the minds of residents as a visual infrastructure' (p. 113). 1.2 In this article, I discuss photo-elicitation interviews collected as part of a mixed-methods project on how people manage everyday life. The photo-elicitation explored how people saw the physical characteristics of their neighbourhoods, the 'everyday' sense of the built environment, providing a basis for my examination of themes or 'motifs' of the 'visual infrastructure' of neighbourhoods. I also examine the types of knowledge and understanding produced by research participants when they are asked to generate visual materials, and consider how these might differ from knowledge and understanding produced in verbal-only interviews. Thus, the project had both a substantive and a methodological aim: (1) What can we learn about the built environment of neighbourhoods and, specifically, about people's understandings of their neighbourhoods? And (2), does the use of visual methods focus participants' attention in particular ways? 2.1 The built environment includes 'built forms' such as dwellings, office buildings, shops, pavements, roads and the like. It also includes apparently 'natural' areas such as parks, canals, and gardens. In most urban and suburban settings, these 'natural' areas are planned, landscaped, and physically constructed. Beyond this, the build environment also includes open spaces that are bounded and defined through human agency (Lawrence and Low 1990: 454). Local built environments � as neighbourhoods or 'place' - are both physical and social entities: 'Place is, at once, the buildings, streets, monuments, and open spaces assembled at a certain geographic spot and actors' interpretations, representations, and identifications' (Gieryn 2000: 466-7, emphasis in the original). In other words, an assemblage of built elements does not become a neighbourhood (or an identifiable place) until people think of it as a neighbourhood. 2.2 Neighbourhoods are socially constructed or 'imagined'. As Gieryn (2000: 472) put it, 'The very idea of 'neighbourhood' is not inherent in any arrangement of streets and houses, but is rather an ongoing practical and discursive production/imagining of a people.' To understand the process of imagining communities, it is useful to turn to Anderson's (1991) work on nationalism. He wrote, 'all communities�are imagined' and are distinguished by 'the style in which they are imagined' (p. 6). This suggests that to learn about neighbourhoods, researchers should examine the ways people who live there think about, or imagine, them. 2.3 Visual studies of neighbourhoods offer the potential to engage two aspects of place � the social understandings that construct and are constructed by the physical elements of a neighbourhood, and the actual physical elements themselves. 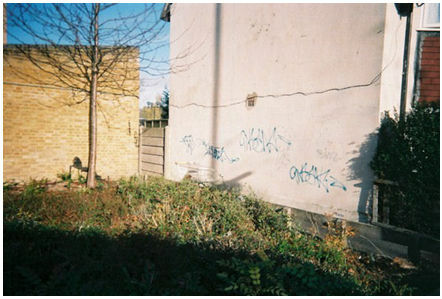 Morrow (2001), for instance, asked teenagers to photograph their neighbourhoods and to draw schematic maps of important places. She used photo-elicitation interviews based on these visual materials to learn about how young people felt about their friends, family, and where they lived. Her participants photographed (and drew) elements of the built environment. Many of her participants photographed parks which had play areas for small children, but not for older kids like themselves, and several participants took a picture of a sign on a local green space saying 'No Ball Games'. These features of the neighbourhood, they explained, left them feeling excluded with no place for active play. Many took pictures of their schools' playing fields, because these open spaces were places where they could gather with their friends and hang out or play games outside school hours. In this way, school grounds were important, positive sites in the neighbourhood. 2.4 It is important to point out at the start the boundaries of this research. It does not draw on community studies (e.g. Crow 2002), nor does it contribute to research about neighbourhoods and social capital, social ties or human communities. It does not show how people use their neighbourhoods 'as sites for performing identities' (Savage, Bagnall and Longhurst 2005: 29). Rather, it focuses on the physical aspects of neighbourhoods in the form of the built environment, and participants' perceptions of these. 2.5 In this article, then, I develop an understanding of participants' views of their local built environment, their 'place', and how this relates to their understanding of 'neighbourhood' in its physical sense. The goal is to produce a holistic rendering of participants' view of their neighbourhoods, underpinned by an insight into the process by which they imagine them. This research, therefore, contributes to a sociological understanding of the 'imagined neighbourhood' and its socially constructed nature. 3.1 Data for this article are drawn from the visual component of a larger study called 'Managing Everyday Life' (MEL), which was conducted by a research team of which I was a member. In the visual project, we gave disposable cameras to adults and children who had already been interviewed once. A key concern of the broader study was to develop a rich understanding of vulnerability through the use of multiple methods. The MEL study explored participants' experiential sense of vulnerability. We were interested in how so-called 'ordinary' people might experience vulnerability, how they felt capable (not vulnerable), and what strategies they used in their daily life with respect to potential or perceived risks. The study was seen as a collaborative project, in which the participants' views were privileged (as much as possible) over the researchers' pre-existing ideas. 3.2 During the initial, verbal interviews, we asked participants about their daily lives, and explored issues such as participants' worries or concerns, risks they perceived in their daily lives, and also the ways they coped with or managed worries, concerns, or risks. The 'headline finding' from the verbal interviews is that people do not see themselves as 'vulnerable' or as 'victims' � even those participants who might be defined as such by outsiders. People do find areas of vulnerability in their lives, but they take active steps to minimise such areas. Sixty people took part in the qualitative research in the larger study. After their interviews, we invited participants to volunteer to take part in the visual project. 3.3 The study was situated in one town, which we called 'Hilltown', and drew participants from three neighbourhoods in the town: 'Hillside' (HS: middle class to affluent), 'Riverside' (RS: near town centre, mixed ethnic) and 'Woodside' (WS: council estate). Two of the areas (Riverside, Woodside) score relatively high on various social deprivation indices. In contrast, Hillside is well-off and includes a very wealthy, gated community. From each neighbourhood, we sampled households with children and couples without children (the household, or HH, sample) and people living alone (the solo living, or SL, sample). 4.1 Photo-elicitation is a research tool pioneered in anthropology (Collier 1967). It has become a well-established technique in ethnography and other types of social research (Alexander 2008; Banks 2001; Collier and Collier 1986; Harper 2002). In simple terms, photo-elicitation involves conducting interviews in which informants discuss photographs with the researcher: 'using photographs to invoke comments, memory and discussion' (Banks 2001: 87). Researchers may use extant images with strong links to research questions (e.g. 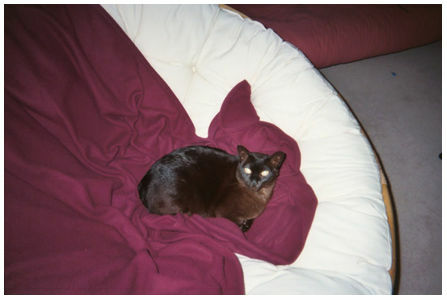 Chiozzi 1989; Eck 2003), or researchers may use photos that they have taken themselves (e.g. Gold 1991). A third strategy is to give cameras to research participants so that they can generate the photos for discussion (e.g. Clark-Ib��ez 2004; Morrow 2001). This last, participant-led strategy has become increasingly popular in photo-elicitation, and is the approach taken here. 4.2 The interviews involved in photo-elicitation take different forms. Structured interviews are often used for extant or researcher-generated photos, in which the same set of basic questions can be asked about each image. Unstructured interviews are more often used with participant-generated photos, where each person has a different set of images (his/her own) to discuss. Participants are interviewed for two main, and overlapping, reasons: first, to seek out their attitudes or world views, whether related to the images or not, and second, because visual images are ambiguous, to clarify their understanding of the images themselves. When participants have taken their own photos, a third reason, related to both these, is to understand why they chose to photograph what they did. Images are not unequivocal records of reality�photographs have no meaning in and of themselves; they take up meaning from the contexts in which they are inscribed or which we inscribe to them. How images are created and the sense viewers make of them, depends fundamentally upon cultural assumptions, personal knowledge, and the context in which the picture is generated and presented. How images are seen and read, is shaped by the values, beliefs, assumptions, and experiences that both photographer and viewer bring with them� This subjective nature of the meaning of images underscores the importance of researcher-participant interaction in the research process� As researcher and participant become collaborators in the construction of accounts and meanings, both personal and theoretical understandings of cultural realities are magnified. 4.4 As the neighbourhood project was designed to be collaborative, we used the term 'photo-interview' with participants. The aim was to work with participants, allowing them to articulate and develop the meanings they took from the images. This strategy worked well, and produced rich empirical findings. However, the participants themselves might have been as comfortable with the term 'elicitation' as 'interview'. In addition, Liebenberg may overstate the degree of meaninglessness in visual images. While uncontextualised photographs are certainly ambiguous or may support multiple interpretations, and 'representation' is a complex area of study, the statement that 'photographs have no meaning in and of themselves' overlooks the indexical nature of visual images. Uncaptioned, undiscussed photographs often provide readable content. I will return to these issues, as my research allows for an examination of the effect of visual methods. I argue that the photo-elicitation method, and visual methods more generally, steer participants toward aesthetic and tangible aspects of the research area. 4.5 Twenty people took part in the visual component of the study, 13 through photo interviews, and a further 7 through video interviews. The video interviews, or 'video tours', were neighbourhood tours, which were organized by the participants for the researchers. We asked them to think of ways they use their neighbourhood and to plan a short route, showing amenities and problems. We then walked this route with the participants, using a camcorder to record both the visual scenery and also the interview that transpired while we walked (see Alexander 2013). The video interviews have informed the analysis, but are not reported on here in detail. 4.6 We provided the photo-interview participants with a disposable film camera, a sheet of instructions, and information on how to use the cameras and how to return them to us for developing. We asked participants to take 'photos of what's important to you in your neighbourhood', with an indication that we were interested in both positive and negative aspects of the physical environment. The cover letter for the visual study indicated that we were interested in 'views on a physical location such as Hilltown'. 4.7 We did not mention vulnerability in the instructions, nor was this term brought up directly in the interviews; however, participants may have been primed to focus on issues such as worries or concerns through their participation in the first interview. We explicitly instructed participants to take care: 'In taking photos, however, do not go to places where you would be putting yourself in danger', which may have reinforced ideas about potentially dangerous places. 4.8 Participants had already signed a consent form for the initial interviews, and we asked them to sign an additional form, granting us permission to use the photographs in published work. Participants were given the negatives and one full set of prints, while the researchers retained a second set and a CD of jpeg files from the photos. We allowed participants to withdraw certain images from our consideration; some participants had taken photos of friends and family members and these were excluded. 4.10 After the cameras were returned to us, we developed the film and interviewed the participants as soon as was practicable, so their memories of the photo-taking would still be fresh in their minds. The interviews were largely unstructured. The participants and researchers saw the photos for the first time in the interview. We asked them about each photograph and asked them to sort the photos into piles based on themes they saw in them. In a departure from standard photo-elicitation techniques, we videotaped the photo interviews. The camera focused on the table where the photos were sorted (usually the kitchen or dining room table, or a coffee table). This provided a visual record of which images the participants were discussing during each part of the interview, and allowed the researchers to re-construct the themes into which participants sorted their pictures. The aural part of the videotape was transcribed. 4.11 As one aim of the project is to consider the type of knowledge generated by participants through visual research, it is important to preserve the character of the data, as well as the content. The data are comprised of visual images (photos) and the participants' narratives surrounding them. Extracts from the data quoted here are, therefore, visual and verbal � a combination of both words and image. I have tried to balance the need to preserve the character of these data, on the one hand, with the length and readability of the paper, on the other. I have occasionally taken a 'researcher's licence' to elide the narrative for length, omitting repetition or digression, and have also omitted some images that were identifying and others that were unreadable due, apparently, to damage to the cardboard camera before processing. In these cases, I have reported only the verbal portion of the data. Narrative alone is also quoted when participants referred to multiple photos or made general comments. 5.1 The photo interviews allowed me to explore how physical aspects of neighbourhoods, and neighbourhoods themselves, are socially constructed. Participants tended to discuss the photographs as representations of what they liked about their neighbourhoods and what they did not. From this, I inferred that their images give indications of 'good' and 'bad' aspects of neighbourhoods. It is important to remember that participants were asked to think about the 'physical environment' and were told that we would not publish images of people (friends or family) to safeguard confidentiality and anonymity. The participants, therefore, focused on the built environment (as was our interest), and not on the human community. Our emphasis, and theirs, was on places not people. 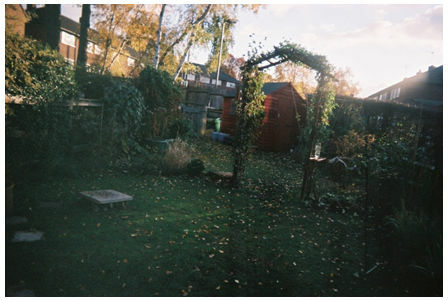 5.2 My analysis suggests that participants have a mental picture of an idealised neighbourhood, and their photographs represent areas where the idealisation and the physical reality of the places in which they live either align or diverge. With respect to good things, or what a neighbourhood should have, participants discussed amenities (convenient shops, pubs, and facilities), usable 'nature' (trees, parks, paths) and attractive buildings and streets. For some participants, aspects of their own homes represented safety, security and satisfaction. 5.3 In terms of negative aspects, or what a neighbourhood should not have, participants focused on sites that they found unsightly or ugly (rubbish, poorly maintained properties, construction sites, graffiti) and places that, at certain times (night) could be frightening (especially tunnels and alleyways). Heavy traffic represented a safety hazard. 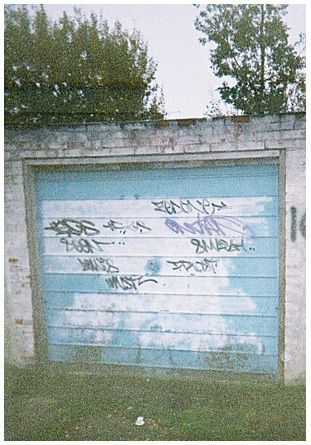 Graffiti, while an eyesore, also represented the presence of criminal elements in the community. 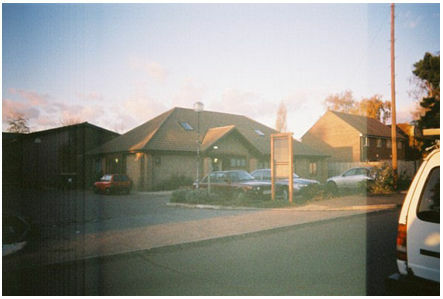 That [Figure 1] is the front � that's the doctor's surgery. It all looks very nice, my doctor's surgery. 5.5 A common element which featured in all the interviews was that participants made aesthetic judgements on positive and negative aspects of neighbourhoods. Positive elements were described as visually beautiful, pretty or appealing and negative elements as visually unattractive, ugly, or unsightly. In the verbal interviews, participants did not mention aesthetic issues; therefore, this finding suggests that a disjuncture exists between the kinds of knowledge that emerges during standard, face-to-face interviews and photo-elicitation. Aesthetic and visual dimensions are opened up through the act of taking pictures and subsequently discussing them. We took the shops because it shows you the range we have got here. It's quite a good range, I have to say. Two grocery stores, there's a butcher's, � we have got a launderette, a chemist, ophthalmic shop, computer shop, Chinese takeaway, who does fish and chips as well, and Indian. We have got a post office located in [convenience store] and we have got a newsagent's. There is also a caf� and a hairdresser's, so there is quite a range there. people identify as places those spots that they go to for some particular purpose or function. The sequence of places along one's daily rounds (home, shopping, employment, entertainment) is often the core cartographic feature of subjective cityscapes� The egotistic particularity of mapped-out places � suggests that such representations will vary among individuals in terms of their biographical characteristics and experiences. 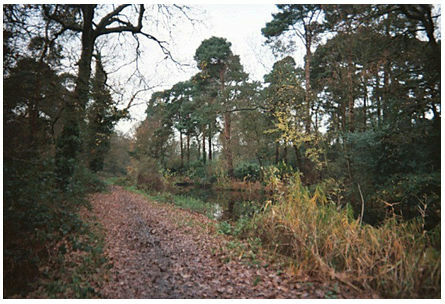 5.8 Participants frequently recorded images of usable 'nature' � green spaces and open places. None of the areas was truly natural; all were human-made elements of the town's parks, roadways or canals. Nevertheless, participants enjoyed these areas and told us stories of how they used these places. Often, therefore, the places were associated with personal memories of the good times had there. This [Figure 2] is � a very big pond. I, I like this. It makes me feel I belong because I used to go there a lot as a child and I am sure a lot of children still do go there. To feed the ducks. � There's a bridge here and we used to play Pooh Sticks off the bridge, then the swings are just down there so it's sort of all in the same place. As a child, you can go there and don't have to walk very far to get to the swings or to get to the bridge or in my case to get to my house. [Laughs.] I think again it's nice for children to see and � it shows that Hilltown isn't just houses and flats and shops. 5.9 The canal was frequently mentioned by participants. Hilltown residents often walked on the towpath, and the trees and vistas of the canal were seen as attractive elements of the town. These [series of photos] are all about the canal and wildlife. I just love living opposite the canal, I love the view, and I just like the fact that we are right in town and there's lots of trees. Wife: And that is a nice picture of the canal [Figure 4]. Husband: It is very nice for walks or just to go to the town centre. Husband: And that is � the path for cycling and stuff like that, which is very nice. 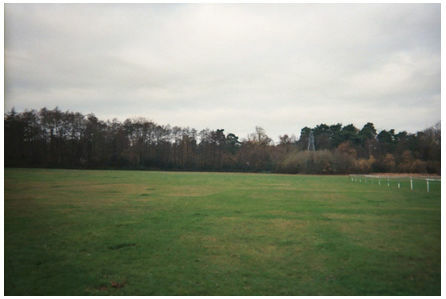 5.11 The town's recreation ground was photographed frequently. It includes open areas, an athletics track, sports fields and grounds, and play areas with equipment for children. One boy (12-year-old, white-British, 02B[HH-WS]) took 15 photos of the recreation ground (including Figure 5), and spent a good part of the interview discussing which sports could be played there, and which he had engaged in himself. In order to get the general view point, that is the recreation ground and at the back of the recreation ground is the athletics track. I thought that was a good thing. It is somewhere the kids have got to play and it does give you a feel a wide open feel. We really appreciate the wide road reserves that they have in [County]. That's a fairly typical sort of aspect that you might see [Figure 6]. That happens to be [Name] Lane on the way to the dump, but nonetheless that is exactly the whole point of it. It conceals behind that bank of trees and apparent greenery, anything from a council estate to the local dump to the local golf course, to you name it which we find really tremendously beneficial. 5.14 This last comment, in which council estates are put in the same category as rubbish tips (and golf courses), was the only comment relating to the theme of green places and open spaces that reflected a sense of social divisions. Nearly all participants made some comment about trees, greenery and the like, and these were uniformly cast as good. These places were useful for recreation, as many participants pointed out. Their comments are similar to those of Morrow's (2011) young people, in the sense that recreational spaces are valued. One difference, however, is that participants in the Hilltown study often talked about the benefits of recreational spaces both for themselves and also for others. Playgrounds for small children, for instance, were seen as places of personal memory or spots that made for a good neighbourhood because they allowed others places for play or fresh air. Playgrounds, then, engendered feelings of inclusion, rather than the sense of exclusion that was experienced by Morrow's participants. 5.15 In one way, the canal towpath, parks, and playing fields are a type of amenity. But more than this, lay perception and research studies suggest that contact with nature is beneficial per se. In his classic study, Ulrich (1984) showed that hospital patients with a view of a 'natural setting' through a window recovered more quickly and had fewer complications than patients with a view of a brick wall. Similarly, studies by Frumkin (2003) and Maas et al. 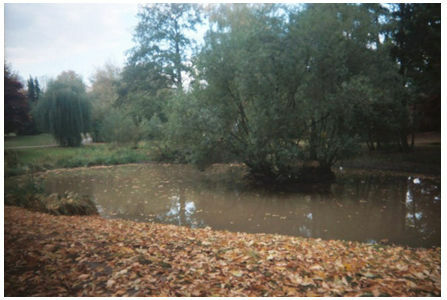 (2006) included measures of 'nature contact' or 'green space' (respectively) as indicators as neighbourhoods that promote health. I would like more trees. It sounds weird, but more trees in the pavements and that sort of leafy, and maybe some sort of dustbins and some sort of dog litter bins and stuff like that. It is just to give the impression that this is an area that Hilltown haven't forgotten about and they are looking after and sort-of taking care of it really. 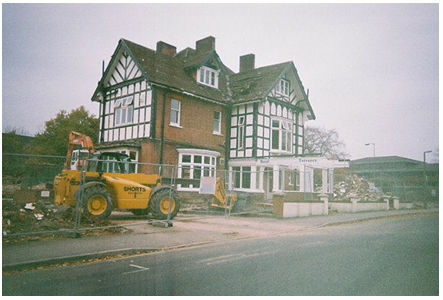 This [Figure 7] is a renovation in a sympathetic style. 5.19 Participants also took photos of the town's public sculpture and fountains (choosing different objects, however), the Town Gates and, as we distributed cameras in late November, the town's large Christmas tree. Some of these photos were conventionally beautiful, including one of a sculpture reflected in the puddles in the courtyard surrounding it. I like street furniture or whatever you want to call that and just, just you walk past and you go, oh that's nice and jolly. 5.20 The War Memorial also received attention from several people. It's a war memorial. I think it's really pretty. � Sort of an angel and I think it's quite beautiful. 5.21 Several participants took photos of their own house or garden to indicate positive features of their neighbourhood. Participants who photographed their homes and gardens discussed feelings of safety and security. Three participants specifically discussed their back gardens and the birds that are attracted to feeders, which gave them pleasure and satisfaction. We really appreciate the fact that we do have a little patch of earth, 15.5 x 6 metres [Figure 8], which we find exceedingly valuable, and we now have quite a stable arrangement of birds. � just yesterday, we had a couple of magpies � we have a couple of jays � and a woodpecker who comes here regularly � quite apart from the collared doves and pigeons and the usual array of small birds, you know, so we are constantly entertained and it, it is super. This participant also took a picture of the wheelchair ramp leading out to the garden, which made it accessible to his wife. 5.22 Several of the teenage participants took photos of the front aspect of their house or flat: 'the pile [of photos] with my house is what makes me feel safe and secure' (14-year-old, white-British girl [13D, HS-HH]. Like my tower [photo of stacked energy-drink cans] is very cool. I think it's cool� And I like my bed [photo of his bed] cos it's really comfortable, and I like my drums [photo of his drum kit]. I just like them because they are fun to play and I like my cat and I also like the chair he's sitting on because it's dead cool [Figure 9]. 5.23 While housing is clearly an important part of the built environment, I had not initially considered the possibility that participants would photograph their own homes. My own (clearly limited) preconception was that 'neighbourhood' is what is outside the house. Several participants did not take pictures within their own property lines, perhaps sharing this idea of neighbourhood as external to the home. The vast majority of images, across all participants, were taken outdoors. Some participants who had taken photos of their own homes or gardens apologised and asked if they should have done so � even though our instructions requested that they photograph what was important to them in their neighbourhood. Home is in the neighbourhood and is clearly important to participants. 5.24 Morrow's (2001) young participants included their own homes as important aspects of their neighbourhoods. In our study, children, more commonly than adults, took pictures in or around their houses, and this may reflect the more restricted and limited movements of children around the neighbourhood, especially in automobile-oriented settings. Home may also be especially relevant to adults who are less mobile. Given the absence of home among the images of some participants, and the apologies of others for including such images, it may be that 'home' is more ambiguously coded within the concept of 'neighbourhood'. 6.1 Participants agreed that neighbourhoods should not have things that are unsightly, such as litter, graffiti, and unattractive buildings or building sites. And they should not have things that imply dangers, such as graffiti, dark subways, scary alleyways or unlit, overgrown paths, which indicated the potential for crime, nor should neighbourhoods have speeding cars and lorries, which pose risks to pedestrians and bicyclists. 'Good neighbourhoods', then, display a lack of negative elements; when such things are not absent, they are noticeable and disliked. 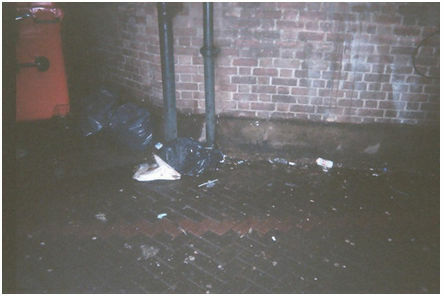 This [Figure 10] is of just littering. There isn't actually that much littering in Hilltown now. There used to be quite a bit, but I think they are doing well to get rid of it. But when there is some, there's often big piles of it in alleyways. Wife: It is good to have a bin that is what it is. Husband: Yes, and it is good to have bins because there is not enough of them. Wife: Because I wanted to, [in other photos] you will see how there is not enough bins, obviously. Wife: It [Figure 13] is just to show, like, by the canal because there are not enough bins people throw everything on the ground. Wife: Everywhere actually, it is totally filthy and then you get rats. We have lots of rats. Interviewer: You took a photo? Wife: I didn't actually catch the rat on the photo but I was waiting, going, 'Oh there's one', gone. Wife: Oh yes, that's the missing rat. It was just there [pointing just outside the edge of the photo]. � It was next to the canal and because there is loads of rubbish everywhere there are loads of rats � and rats are disgusting and there are loads of them, really loads. Interviewer: Does it put you off going down there? Husband: But now it is a joke, now it is becoming a joke because we walk together we say 'Oh the first one to see a rat'. Litter, therefore, is both unattractive and unhygienic. 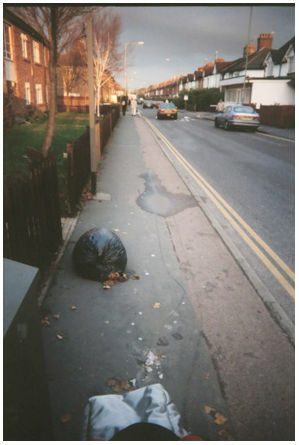 Litter is disorderly and 'out of place', and the lack of dustbins symbolises that a neighbourhood is not cared for (according to Participant 17, above) and which deny one way for passers-by to keep the neighbourhood tidy by binning their rubbish. 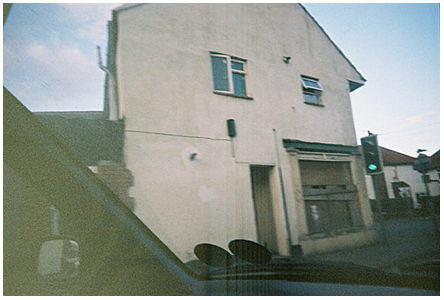 One of the worst-looking places near where I live, [Figure 14] well, it's glaringly obvious that it is horrible. It's boarded up. because the whole of Hilltown has turned into flats. This used to be a park � like this was a garden. They are taking an old pub. That was knocked down. There used to be other things, nice things to make people want to live somewhere and they are just turning them into flats. I think like in five years' time, Hillside will be flats and estate agents and that's it, and then nobody will want to live here anymore. It's always been some sort of a bar or some sort of an inn [Figure 15]. And it's, it was one of those old-style Hilltown buildings. The way Hilltown used to look, you know, before the seventies came along [laughs]. 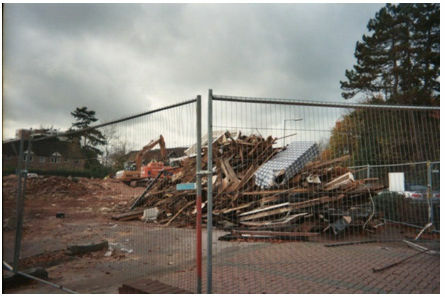 And they've knocked it down and if you go past it now it's completely empty and all the plot is empty, nothing there. This [Figure 16]. Just a mattress there. � And in its place are going to be god knows how many flats again and that's, that's the thing about Hilltown, they are just building flats at the moment everywhere and they are tearing down nice houses with, you know, a bit of ground round them and all that and just cramming it all full of yet more flats. Graffiti. [Figure 17] That's like an alleyway the children normally go down. I never have; I don't need to. It's pretty horrible isn't it? [Figure 18]. It looks like a scrap heap. � A pile of rubbish, basically. � And you've got a bit of, someone's tag there. At some point there was a fire here, and the building is an eyesore, is the word. 6.13 A second Riverside man gives an example of graffiti as a 'signal disorder'. Interviewer: What is it that makes the picture of your garage, that one [Figure 19], so, sort of, the worst example for you? Participant: It just the general tone of the area, it is lack of respect. The kids hanging around with their spray paints. It is just lack of respect for people's property, they don't need to do it. It is not theirs, it is mine. Participant: No, I haven't because it is only just going to get done again. Interviewer: So, how does it make you feel when they do that [tag his garage]? Interviewer: Do you ever feel, you said about victimised, � What would you do if you came out and saw them doing it, do you think? Participant: I would probably run back. Interviewer: Pretend you hadn't seen it? Participant: Because they have probably got brothers and fathers living round here. Keep my head down, I think. So, for this participant, confronting taggers is an invitation to be assaulted. 6.15 Fear of crime was triggered for participants by places that were unlit and isolated, and participants often said they avoided these places, especially at night. 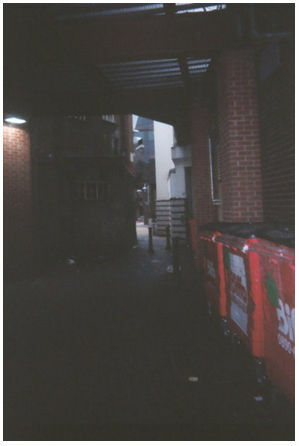 This [Figure 20] is the alleyway down the side [of the shops and the town square] and I don't like this alleyway probably because I'm a girl and it's scary. But especially, you know, at night time � you know, it's dark. � It doesn't make you feel very secure when you've got to walk past this alleyway which is down the side. � I am sure it would make anyone feel insecure if they were walking down there whether it was in the daylight or at night. � I guess everywhere has places like this, but that in particular is somewhere that just I'll feel, no thank you, I don't want to go there. I'll stay clear of that. There is this sort-of dark bin alleyway as you go up and walk past [the Pub]. And you also get quite a lot of blokes sort-of hanging out outside and sometimes being a bit pissed, and sometimes you go past and I feel a little bit intimidated. 6.17 The fourteen-year-old girl took a related picture of the pedestrian subway under the railway line. Participant: No, I never, I've never gone down there in the dark. And to be honest, I never would because that's just way too scary for me. But I do go down there in broad daylight and it still it still gets to me. I still don't, I still feel uneasy when I go even in even in daylight. I will I never take my time down there. I will walk quickly to get out. There is a railway � so I go underneath that and then there is a little alleyway that goes along the railway going up the houses where she [child-minder] lives, and it is filthy and disgusting. � I am quite scared of going there, like, it is 11:30 in the daytime� In summer, it is really overgrown and nobody can see you� There are lots of bushes growing, and really sort of brambly kind of scary bushes� Normally, I don't meet people � but sometimes there are strange people and sometimes they are normal, and when there are strange people it is just, like, a bit scary. Interviewer: Be wary of paths? [pause] Where is that? Son: That's just next to the athletics track, but further up to the canal and it can get, like, pretty dark there at night and it gets dark earlier, and it can get, like, really dark there at six o'clock, load of trees round. Son: Yes. That's the other way for the athletics track. Mother: So that could be. That's quite safe up there but, you know, I wouldn't let him go up there on his own, so it could be a little bit not safe for children. In this way, children are limited by parental authority in their ability to go to places that parents find unsafe. 6.22 An important point relating to these discussions is that none of these participants had actually been assaulted or robbed (at least, they did not report being assaulted or robbed in the photo interviews or in the initial ones). Instead, the worry came from the darkness, the isolation, or the indications of anti-social behaviour in graffiti-writing, youths and gangs of boys, or drunken men, as these things indicated to participants the potential for more serious events. In contrast, one participant, whose elderly neighbour had actually been attacked and robbed twice, said she felt safe in her neighbourhood, because she had lived there so long. 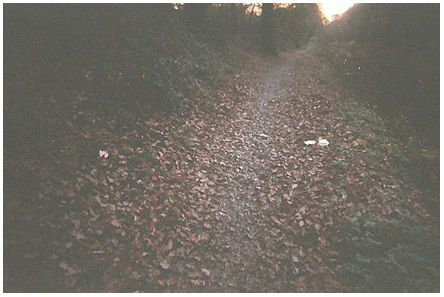 She photographed a place near the primary school that served as a teenagers' drug 'den' with 'paraphernalia' (her words). Participant: There is coke cans where they have made bombs to smoke drugs, there's even silver foil where they [�] had been smoking heroin and that is a concern, obviously, to the whole of the neighbourhood because any kids of any age can go down there. Interviewer: Did you feel safe walking down there? Participant: I felt safe walking down there, but I don't feel unsafe normally here at all, it doesn't bother me. There are security problems, but I have lived here long enough and I think that's why I feel the way I do. I feel relatively safe. 6.23 A final area of concern to the participants was the speed of cars and lorries, which suggested the possibility of traffic accidents and of children being run over. 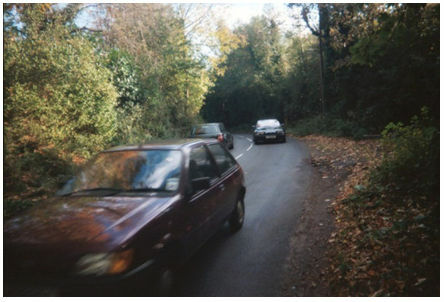 There's quite a sharp bend and you can't really see it because it's a photo, obviously, but cars do come speeding round [Figure 23]. And it's quite, it's quite scary, because � somebody had a car crash around here a couple of years ago and he actually died in the car crash because they were speeding. And � when I'm walking down here or when we're driving, you get big vans or big lorries that will come speeding round the corner, you know, and they almost smash into you and that really bothers me that there is no sign up that says please slow down or anything, because it's quite dangerous, I feel. Other participants mentioning traffic were parents. Traffic, in the form of speeding vehicles on residential streets, was constructed especially in reference to the risks posed to children. 7.1 On the whole, participants emphasised positive aspects of their neighbourhoods and town. They liked their neighbourhoods. Most felt that they belonged in their neighbourhoods, they cared about their neighbourhoods, and many felt proud of them. 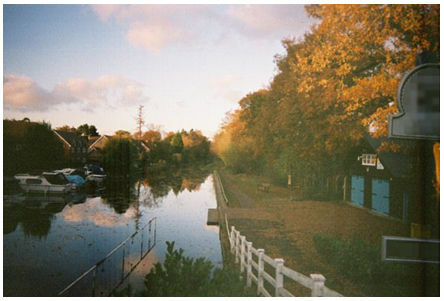 The canal, along with the green spaces and open places, were mentioned often as positives. Amenities were mentioned too, by almost everyone, but different people looked for different things in their amenities. Similarly, participants agreed that visually attractive properties or features were beneficial to the town, but they varied in their choice of houses or objects to represent attractiveness. Two general types of negative aspects of neighbourhoods were mentioned, those that were visually unattractive and those that suggested dangers. 7.2 Participants' views of their neighbourhoods, the 'visual infrastructure' in Savage, Bagnall and Longhurst's (2005) terms, are socially constructed into 'motifs'. This paper has described some specific motifs provided by participants. Moreover, the research provides insight into the process by which neighbourhoods are imagined. I argue that participants construct their views of the built environment by comparing aspects of their actual neighbourhood to an idealised conception of what we could call 'the good neighbourhood'. 7.3 Participants discussed several motifs related to aspects of their own neighbourhoods that were less than ideal. These negative motifs related to issues of unsightliness or risk. The concept of 'signal disorders' (Innes 2004) is useful in understanding negative perceptions of the risky aspects of neighbourhoods. Participants photographed physical 'disorders' such as graffiti, isolated and unlit places, and evidence of drug use as representations of risk, which made them worry about crime. These disorders are socially constructed and gain meaning from media portrayals and wider cultural processes. As Innes (2004: 352) puts it, 'The signal crimes perspective provides an innovative way of looking at how crime and disorder is defined and rendered meaningful by people in their everyday lives, and how in the process the social character of physical space is symbolically constructed.' Participants 'know' that certain unattractive features of neighbourhoods (graffiti, overgrown paths) are 'predictors' of crime. A 'good neighbourhood' does not have crime, so the presence of 'signal disorders' in real neighbourhoods are particularly notable when they occur. Such disorders readily symbolise deficits in participants' neighbourhoods, as compared to the ideal. 7.4 Positive aspects in the built environment also have an important symbolic role, indicating that the places where people live are 'good', in as much as they typify an idealised vision of a neighbourhood. In this way, some of the positive features of the built environment might best be thought of as signal 'orders' or important signals of a functioning, agreeable, or vibrant neighbourhood. Amenities and usable 'nature' were important to most participants due to their utility � they made daily life easier or more pleasant. Beyond this, however, such positive features of neighbourhoods also show that a neighbourhood is vital, likeable, and liveable. 7.5 By attending to signals of ordered or disordered places, participants constructed 'imagined neighbourhoods', in many ways analogous to citizens seeing themselves as part of the 'imagined communities' of nations (Anderson 1991). Notably, participants in this study constructed their neighbourhoods as places where they belonged, and they stressed the inclusive aspects of neighbourhood. 7.6 As I have stated, participants constructed their neighbourhoods as generally good places. There was very little discussion of their neighbourhoods as contested spaces. Some negative aspects were attributed to external sources (construction firms, which come from elsewhere to build flats, or the town council, which should 'do something' about particular problems). Agency, here, is seen as outside of, rather than integral to the neighbourhood. Agency for other local problems, such as throwing litter or writing graffiti, was normally left unattributed. The focus was on the physical presence of these undesirable features in the built environment, and with a few exceptions, participants' narratives give the sense that generalised others, not residents of the local community, were responsible. When local people were mentioned (as in nearby residents who failed to maintain their properties or teenagers from the estate who did drugs by the primary school), their actions were positioned as concerns 'to the whole of the neighbourhood' (in the words of Participant 07, my emphasis). Troublemakers, then, were set apart, as others, and excluded from the definition of neighbours. They may have been in the neighbourhood, but they were not part of it. 7.7 Anderson's (1991: 6) idea of the imagined community suggests that people who will never meet face-to-face see themselves in a common category. This appears to be the case for the participants in this study, as suggested by the ways they discuss their neighbourhoods. A neighbourhood, with its useful but not perfect range of built elements, is for people like us, for neighbours. The 'strange' people encountered on overgrown paths, the groups of boys or lone men walking though the subway, or the drivers going too fast around the curve are not 'us'; they are outside the neighbourhood, even though they very well may live within the physical boundaries of it. Participants, however, did not dwell on the 'them' that stands in contrast to the 'us'. 7.8 In this way, the 'imagined neighbourhood' tends to privilege 'good' residents, along with good elements of the built environment. Not only are neighbourhoods imagined as communities that include people who will never meet, but they are also idealised constructions that include only a portion of the people living there. Moreover, the diffused sense of agency related to neighbourhood problems supports the interpretation that participants are working with a concept � of 'good neighbourhood' � rather than thinking actively about the range of activities that constitute an actual neighbourhood. Neighbourhoods have good aspects, which conform to this idealised construction, and they have bad aspects, which diverge from it. They are for the amorphous 'us' who belong there. 7.9 Participants from all three areas constructed their neighbourhoods in similar ways: as inclusive and for 'us', and with a range of mostly good features but the unfortunate presence of some bad aspects. Though the general motifs, both positive and negative, were shared across all three neighbourhoods, when it came to specific examples within motif, there was more agreement on the negatives than on the positives. It appears to be easier to agree that neighbourhoods should not have litter, graffiti, too many building sites, poorly maintained properties, scary places, and speeding traffic than to agree on what, exactly, makes a good range of shops, or what is an appealing public sculpture. In this way, the findings suggest that many of the positives are a matter of taste (Bourdieu 1984) or 'thought style' (Douglas 1996). In other words, positives are socially constructed fairly narrowly along class or lifestyle lines. Negatives are also socially constructed, but more broadly, perhaps relating to human emotions of fear and disgust (Douglas 1966), which are involved in creating boundaries between 'purity' (an ideal neighbourhood) and 'danger' (an undesirable one). 7.10 This study explored only one aspect of neighbourhoods, the built environment. We were interested in participants' relationship to their surroundings in everyday life. We chose three diverse neighbourhoods, all of which had crime 'hotspots' and two of which had significant social deprivation. The sample in the visual study was small, making cross-neighbourhood comparisons tricky. Although preferences (for amenities) and taste in public art appeared to vary across neighbourhoods and to be connected to social class or lifestyle, there were fewer differences across the types of responses than might be expected. It may be that the generally positive tone taken by participants is an indication that, despite any social problems and crime, all three neighbourhoods were functioning ones. It may also be that when people chose to live somewhere, rather than move away, they display what Savage, Bagnall and Longhurst (2005) call 'elective belonging' as they actively choose to be part of their neighbourhoods. Elective belonging suggests that 'places are not characterised by tensions between insiders and outsiders but � instead they are defined as locales for people electing to belong (and not just reside) in specific places' (Savage, Bagnall and Longhurst 2005: x). 7.11 Aesthetic perceptions of neighbourhoods and the built environment are encouraged (that is to say, made manifest and developed) by photo-elicitation methods. Participants often used words like 'pretty', 'attractive' or 'beautiful' for things they liked, and 'ugly', 'unsightly' or 'an eyesore' for things they did not. They talked about aesthetic issues in a way that they had not done in the previous (verbal) interviews. The aesthetic qualities of the neighbourhood are important to participants, as the visual study demonstrates. But they elaborated on this important aspect of their daily lives only when the research method opened a space to do so. 7.12 This project has demonstrated that visual data adds a further layer of understanding in a research project. Research methods frame the kinds of responses participants give. Participants are guided by the style of research and use corresponding thought processes. Visual methods cued visually based responses. This suggests that researchers need to think carefully about their part in the collaborative research process, as researchers set the terms of the interaction and thereby shape the knowledge produced. 7.13 Visual knowledge is often seen as a fundamentally different kind of knowledge than the verbal/textual knowledge that is privileged in social science (Chaplin 1994). This assertion was supported by findings that participants use different modes of response in the photo interviews as compared to the initial, verbal ones. Nevertheless, there are some paradoxes involved in visual studies. Even though we asked participants to take photos, and I have included illustrative examples here, the data that I have used are not exclusively visual. They are visual plus verbal. The verbal is more specific than the visual, providing anchors for meaning. In this way, this visual study, as (ironically) with the majority of visual studies, continues to privilege the verbal sections of the data, and to privilege writing in the presentation of the findings. 7.14 Notably, our participants used a 'realist frame' in their photography (Sturken and Cartwright 2001); they saw their images as an index, a straightforward depiction, of what they saw. They often spoke about things outside the photo's frame, as if a photo simply stands in for part of the real world, rather than existing separately as a complexly constructed representation of it. They would not have been concerned, I suspect, by the use of the word 'elicitation' as a way to describe our research method. Their interviews suggested that they thought that was exactly what we were trying to do: to elicit their pre-existing views and understandings of the built environment. (Ontologically speaking, the built environment was likewise unproblematic to them, as they apparently viewed it as objective, external 'reality'.) They would not see the interview as an exercise in the co-production of knowledge (Jasanoff 2004) or a collaboration between researcher and participant, in which participants construct representations of themselves or their communities (Banks 2001; Pink 2001; Liebenberg 2009), nor would they be concerned with the issues and problems of 'representation' which is of concern to most visual scholars (e.g. Dyer 1993; Tagg 1988). 7.15 This may be another paradox, or challenge, in visual research. The participant-led photo-elicitation technique � or any research technique in which participants produce images � implies that participants will take photos of things that have an existential reality (and, incidentally, that are fixed in time). Concepts, absences and processes are harder to represent photographically. 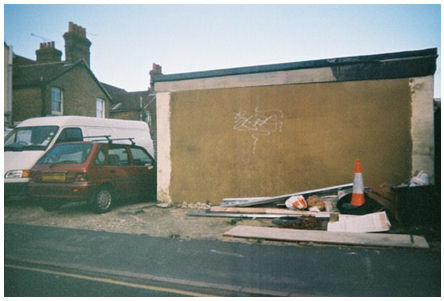 Just as the visual part of the MEL study encouraged participants to think about aesthetic dimensions of their neighbourhoods which did not occur to them during the verbal interviews, so too does the general technique of photo-elicitation encourage participants to think of their photos using a realist frame. 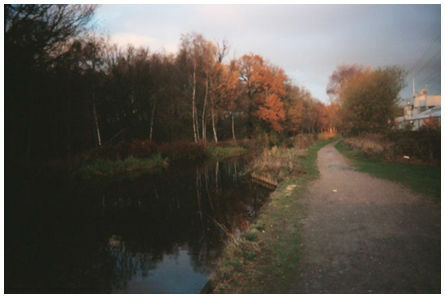 The technique does not encourage participants to consider, in complex ways, how their representation differs from the reality they hoped to convey (beyond judgements on the technical merits of the photograph, such as being blurry or underexposed). 8.1 Photo-elicitation invites participants to examine things that exist physically. Nevertheless, participants' views of the neighbourhood were clearly developed through social processes. Their neighbourhoods exist physically, but the participants' place in them and their relationship to them draws on their socially constructed views of their particular neighbourhoods and of neighbourhoods in general. As Gieryn (2000: 465) puts it, 'Places are doubly constructed: most are built or in some way physically carved out. They are also interpreted, narrated, perceived, felt, understood, and imagined'. The clear framing of the photographs into things that participants liked and things they did not like suggests that participants had an idealised view of 'good neighbourhoods' in mind when they set out with their cameras. What is 'good' is shaped by social class or lifestyle, and is symbolised by the presence of desirable attributes. Good neighbourhoods implicitly display an absence of undesirable attributes; the presence of undesirable features, therefore, symbolises imperfections of neighbourhood. My results, therefore, contribute to an understanding of how physical aspects of neighbourhoods � the 'visual infrastructure', as it were � are symbolically coded. This research was supported by the ESRC, Research Methods Programme, as part of the study, Investigating Practice and Process in Integrating Methodologies: A Demonstrator Project Drawing on Empirical Studies of Strategies for Managing 'Vulnerabilities' (PPIMs), Award Ref: H333250054, Jo Moran-Ellis (Principal Investigator), Victoria D. Alexander, Ann Cronin, Jane Fielding, and Hilary Thomas. Fieldwork was conducted by Mary Dickinson and Judith Sleney. The author is deeply grateful for the collegiality and assistance rendered by the entire research team, and for comments from James Benson, Martin Bulmer, Hilary Thomas, Jo Moran-Ellis and the anonymous reviewers on the current paper. 1Griswold (1992) provides an interesting perspective on styles of imagining in her work on the 'imagined village' in Nigeria. She found that the romantic imaginations of outsiders were inspired by novels set in villages. Outsiders constructed images of traditional village life. 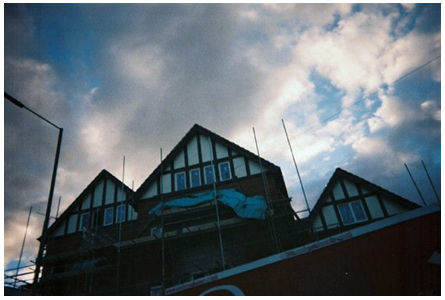 This externally imagined village, notably, stood in stark contrast to the lived experiences of actual village dwellers. Griswold's work suggests that people's views of idealised places, such as traditional villages, are constructed from a variety of sources including literature. Her work also underscores the potential for sharp division between the insiders' or emic view of a place and the outsiders'/etic view. 2For examples of photo-elicitation studies focusing on social and community aspects of towns, neighbourhoods and regions, see Clark-Ib��ez (2004) who used children's own photos in a study of the social world of children in South Central Los Angeles, Chiozzi (1989) who used used historical photos in research on social memory in a towns in Northern Italy, and Harper (2001) who used historical and researcher-produced photographs to study American farmers' sense of identity and community. Also in a rural mode, Beilin (2005) worked with Australian farmers using participant-led photo-elicitation to examine their relationships with landscapes. Many of these studies analysed community and social capital, downplaying or ignoring the physical space of neighbourhoods. 3The MEL study had an overarching methodological aim: how to integrate different types of data/methods, and to make visible the 'work' of methodological integration (Cronin et al. 2008; Moran-Ellis et al. 2006). The project drew on quantitative data and different types of qualitative data: interview (individuals, focus groups), narrative, and visual data. 4In this section of the paper, I refer to the research team as 'we', to mark the collegiality involved in conducting the research. The analysis of the data, collected by the team, which is presented here, is my own. 5The term 'vulnerability' is often used in connection with certain kinds of people. In this particular elaboration, characteristics, shared by group members, make them 'vulnerable' (either in an unspecified, general way, or to specific outcomes). The literature on vulnerability tends to focus on the outsiders', or 'etic', approach. Two varieties of this are common. In the first, vulnerability is seen as existential, and people are placed into vulnerable groups, such as children, the elderly, the poor or the homeless. This approach implies that 'vulnerable people' lack something (a home, money, experience, knowledge, social inclusion) which implies a lack of competence. In the second, vulnerability refers to categories people who are exposed to risks, as gay men are 'vulnerable' to AIDS, householders in a flood plain 'vulnerable' to floods, or residents in a high-crime area are 'vulnerable' to crime. In contrast, in the qualitative segments of the MEL study we were interested in the insiders' experiential, or 'emic', perspective: how people experience vulnerability in daily life (Fielding et al. 2005). 'Vulnerable' individuals � those who are considered by others to belong to vulnerable groups � may not themselves experience a sense of increased risk. They may not even see themselves as belonging to a vulnerable group. Conversely, all people, whether considered to be part of vulnerable groups or not, may sometimes experience a sense of vulnerability. 6We were also interested in how people from supposedly 'vulnerable groups' might experience both vulnerability and capability, and therefore, we interviewed people who could be considered 'vulnerable', including children, older people, those on lower incomes and people who had experienced homelessness. The 'homeless' participants lived in a residential unit for young people recovering from drug or alcohol abuse and had previously had spells of sleeping rough. Unfortunately, none of the previously homeless participants took part in the photo interviews. 7Asking participants to produce images, referred to here as 'participant-led' but referred to by others (e.g. 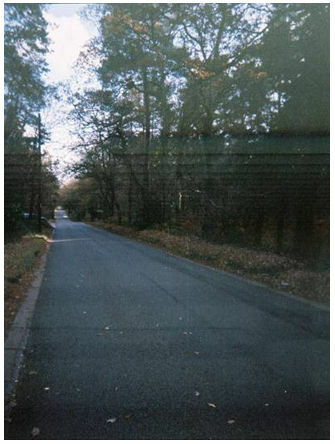 Clark-Ib��ez 2004, following Clark 1999) as 'autodriven' photo-elicitation, is a technique that finds one of its roots in 'native image production' in anthropology. Wirth and Adair's (1972) Through Navajo Eyes was an early example of this approach. 8The moving image of the video provides much more information on the research setting and, consequently, significantly increased the ability of observers to identify the neighbourhoods we studied. Owing to the confidentiality agreements with participants in the verbal phase of the project, we have chosen not to publish clips of the participant 'walkabouts'. 10Elisions from a participant's speech are indicated by ellipses '�'. Some interspersed interviewer questions are also elided with ellipses. Short utterances by the interviewer, such as 'yes', 'OK', 'yeah', 'umm-hmm' are elided without indication. 11Photo interviews were coded by the participant number assigned in the initial study. In the initial interviews, family members were interviewed together, as well as separately, so each household has the same participant number, and a letter (A-D) indicates individual family members. In brackets are the neighbourhoods (WS=Woodside, RS=Riverside, HS=Hillside) and sample (HH=household, couples or families; SL=people living on their own, 'solo'). 12This photograph is not reproduced here as the shops are clearly named and have clear potential for identifying the neighbourhood. 13I have not included many images from this theme: The first photo mentioned here is the front-aspect of the participant's home (and we said we would not publish these), the second is a particularly distinctive house and may be recognisable. Sculpture (as mentioned third) is unique and therefore is readily identifiable. I have not reproduced images of the war memorial, for similar reasons. 14We agreed not to publish images of the front exterior of participants' houses. 15The image was spoiled when light apparently leaked into the camera (the image is barely visible behind white haze). 16Several participants mentioned 'social disorders', such as tipsy or inebriated persons, unsupervised youth/gangs of kids, and homeless people, but no one took photos of these. We specifically requested that participants not put themselves in any danger while taking the photos, and to focus on the built environment. Further, some participants drew on 'common sense' in not photographing potentially 'threatening' people, and others said that they felt that it would be 'intrusive' or a violation of 'privacy' to take pictures of people in such circumstances, especially without asking permission. These factors lead to a focus on physical orders and disorders, rather than social ones. ALEXANDER, Victoria D. (2008). 'Analysing Visual Materials', in Nigel Gilbert (ed. ), Researching Social Life, second edition. London: Sage, p. 462-481. ALEXANDER, Victoria D. (2013). 'Using Photography and Video Interviews in Qualitative Research'. Working Paper, Department of Sociology, University of Surrey. ANDERSON, Benedict (1991). Imagined Communities: Reflections on the Origin and Spread of Nationalism, revised edition. London: Verso. BANKS, Marcus (2001). Visual Methods in Social Research. London: Sage. BOURDIEU, Pierre (1984). Distinction: A Social Critique of the Judgement of Taste. Cambridge: Harvard University Press. CHIOZZI, Paolo (1989). 'Photography and Anthropological Research: Three Case Studies,' in R. Boonzajer Flaes (ed. ), Eyes Across the Water. Amsterdam: Het Spinhuis, p. 43-50. COLLIER, John, Jr. (1967). Visual Anthropology: Photography as a Research Method. New York: Holt, Rinehart and Winston. COLLIER, John, Jr. and Malcolm Collier (1986). Visual Anthropology: Photography as a Research Method, revised and expanded edition. Albuquerque: University of New Mexico Press. CROW, Graham (2002). 'Community Studies: Fifty Years of Theorization', Sociological Research Online, 7(3) <http://www.socresonline.org.uk/7/3/crow.html>. DOUGLAS, Mary (1996). Thought Styles: Critical Essays on Good Taste. London: Sage. DYER, Richard (1993). The Matter of Images: Essays on Representation. London: Routledge. FIELDING, Jane, Jo Moran-Ellis, Victoria D. Alexander, Ann Cronin, Hilary Thomas (2005) 'Synergies and Tensions in Using Multiple Methods to Study Vulnerability: Asking Questions'. Paper presented to Research Methods Programme Conference, Manchester, Mixed-Methods: Identifying the Issues, 27 October 2005. HARPER, Douglas (2001). Changing Works: Visions of a Lost Agriculture. Chicago: University of Chicago Press. KELLING, George L. and James Q. Wilson (1982). 'Broken Windows: The Police and Neighborhood Safety', Atlantic Monthly March: 29-38. Downloaded from: <http://www.theatlantic.com/magazine/archive/1982/03/broken-windows/4465/> 17 July 2011. MORROW, Virginia (2001). 'Using Qualitative Methods to Elicit Young People's Perspectives on the Environments: Some Ideas for Community Health Initiatives,' Health Education Research: Theory and Practice, 16(3) p. 255-268. PINK, Sarah (2001). Doing Visual Ethnography: Images, Media and Representation in Research. London: Sage. SAVAGE, Mike, Gaynor Bagnall and Brian Longhurst (2005). Globalization and Belonging. London: Sage. STURKEN, Marita and Lisa Cartwright (2001). Practices of Looking. Oxford: Oxford University Press. TAGG, John (1988). The Burden of Representation: Essay on Photographies and Histories. London: Macmillan. WIRTH, Sol and John Adair (1972). Through Navajo Eyes: An Exploration in Film Communication and Anthropology. Bloomington: Indiana University Press.